Yesterday, on August 29, 2016, the world lost one of the greats. The news of Gene Wilder’s passing has saddened fans all over the world as they mourn the loss of a comedic genius. Wilder died on August 29, 2016 of complications due to Alzheimer’s disease. He was 83 years old. The actor who made millions of his audience laugh at him and with him is no more. 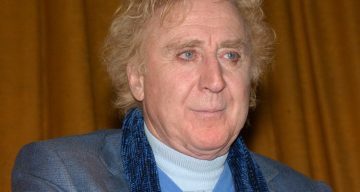 People are curious to know about Gene Wilder’s children. Wilder did not have any children of his own. Wilder adopted a girl who was the daughter of Mary Joan Schutz, a woman he was dating in the mid ’60s. He married Mary Joan in 1967, so this girl, Katharine Wilder became his daughter. Later, Gene Wilder’s daughter, Katharine became estranged to him. After getting divorced from his first wife, Mary Mercier, Wilder started dating Katharine’s mother, Mary Joan Schutz. She was a friend of his sister. Schutz had a daughter named Katharine from her previous marriage. When Katharine started calling Wilder ‘Dad’, Wilder was moved and he decided that he had to do ‘the right thing.’ He married Schutz in 1967 and adopted Katharine the same year. After seven years of marriage, Wilder and Schutz got divorced. Katharine thought that Wilder was having an affair with Madeline Kahn, his co-star in the movie, Young Frankenstein. She got very upset and this played a big part in her estrangement from Wilder. In 2002, in an interview with Larry King, Wilder said that he had a daughter whom he lost a long, long time ago. Wilder said that Katharine must have been 22-23 years old when she broke all contact with him. At the time of the release of his book, “Kiss Me Like A stranger”, Wilder talked about his estranged daughter freely. He said that he had an intense desire to be at the center of all attention all the time. He wanted it so much that he couldn’t share that space with anybody, even his own daughter. He said that it became ‘too crowded’ to share this space with Katharine, as well. He cared for Katharine deeply but Katharine never forgave him and cut off all ties with him. He said that he wrote this book for her but doubted that she would ever read it. Wilder wanted Katharine to read his book. In his own words he said, “If she does read my book, I hope it will explain some things that she didn’t want to understand.” Wilder never really got over his daughter leaving him and held onto hope that she would reconcile with him until his end. Wilder has a nephew named Jordan Walker-Pearlman who is very close to him. At Jordan’s wedding, Wilder served as the role of the ‘father’ of the groom. When Jordan released a statement after Wilder’s death yesterday, he signed it “Gene’s kid.” Jordan was distraught at his uncle’s death. It is tragic that the man who made so many people laugh and smile just by appearing on screen has passed on. He always loved Katharine, but she never stopped blaming Wilder for the break-up of his marriage with her mother. Wilder is survived by his fourth wife, Karen Boyer. Wilder will always be remembered for his classic films like Blazing Saddles, Young Frankenstein and the original Willy Wonka and the Chocolate Factory. There is no doubt that one day Katharine will understand how much Wilder loved her and cared for her. Like the saying goes, “You don’t know what you’ve got until it’s gone.” Wilder is gone and right now our smiles look out of place.